Call Chuck (754) 423-0763 for Boat Bottom Cleaning, Propeller Repair/Installation, Zinc Replacement, Salvage & Recovery. 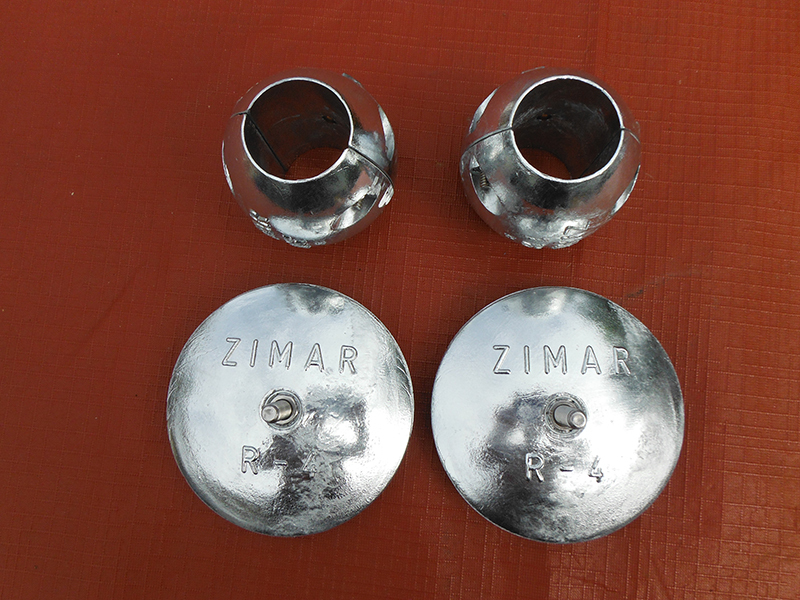 This blog posts goal is to help inform South Florida boat owners about the importance of sacrificial anodes commonly referred to as zincs. The simple answer here is that they prevent your boats running gear from corroding but lets use this post to explain how they actually do that. Corrosion- An electrochemical process where metal returns to its natural state after contact with electrolytes . Upon metals return to this natural state it simply weakens and eventually disintegrates. Electrolytes- Minerals that carry an electric charge. Electrolysis- Decomposition produced through an electrolyte with an electric current. Being that salt water is in essence an electrolyte it means that it is a strong conductor of electricity. So, metals around or submerged in salt water are at high risk for for electric currents triggering the process of corrosion. Certain types of zinc, aluminum, and magnesium are more sensitive to electrolysis then other metals so they have the potential to absorb the electric currents while leaving metals around it untouched. These metals are exactly what sacrificial anodes are made of. So basically sacrificial anodes work by corroding more quickly than the metal it is protecting, being consumed completely before the other metal reacts with the electrolytes. If sacrificial zinc anodes are not replaced after they have corroded electrolysis will then cause a vessels expensive running gear to decompose instead. When Keep Your Bottom Clean divers come out to service your boat bottom we will inspect your zinc anodes. If we feel that it is time to change them out we will be more then happy to take some underwater photos of the zincs to show you the condition they are in. I hope this post is informative as to the importance of sacrificial zinc anode replacement and underwater boat bottom hull cleaning in: Miami, Miami Beach, Sunny Isles, Aventura, North Miami, Key Biscayne, North Miami Beach, Fort Lauderdale, Hollywood, Dania Beach, Hallandale Beach, Pompano Beach, Deerfield Beach, Lauderhill, Boca Raton, Delray Beach, Boynton Beach, Lantana, West Palm Beach, and Jupiter. Until next time Keep Your Bottom Clean!